With a scenic view from the floor to ceiling windows, a colorful and impressive mural, and local artwork from the connecting gallery, the Christel DeHaan Grand Lobby provides the perfect ambiance for your next cocktail reception or intimate dinner party! 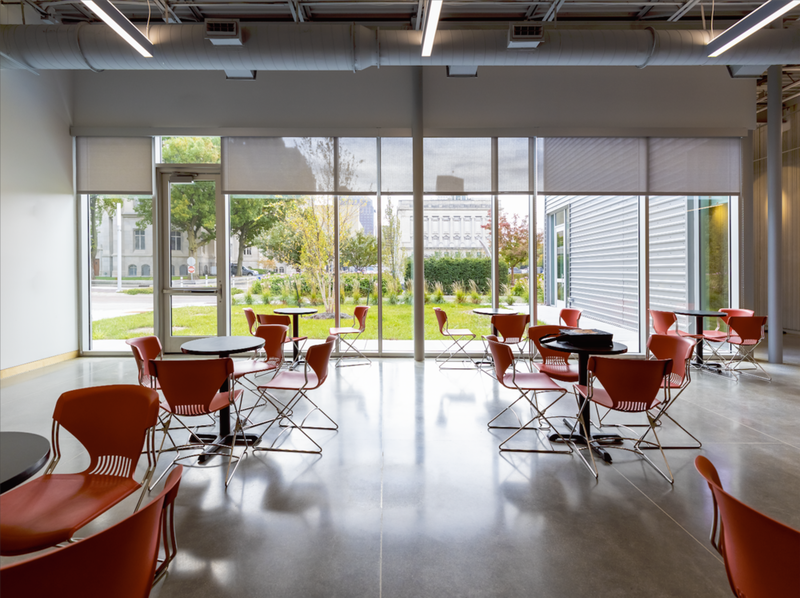 This space is sure to energize your guests with the view of downtown Indianapolis through our grand windows and its open-concept setting. Equipped with a 75-inch TV monitor making it easy to display a presentation, slide show, or company logo. Consider this versatile space for your next corporate meeting, pre-show reception, rehearsal dinner, or cocktail party. This spacious room is ideal for dinners, receptions, presentations, and rehearsals. The ability to be divided into two rooms makes it perfect to create breakout spaces. The credenza cabinets nestled in each room are the perfect design for displaying appetizers or snacks for your guests. Consider this spacious room for your next big event. 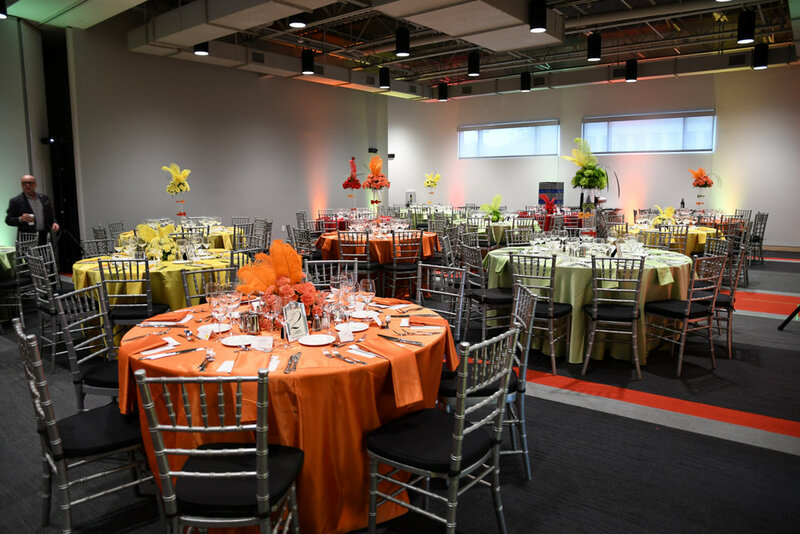 Designed to be versatile, this 40’ x 40’ multi-faceted space provides a blank canvas to host your intimate dinner, cocktail reception, lecture, meeting, or stage production. Space also has professional lighting and other theatre equipment available. 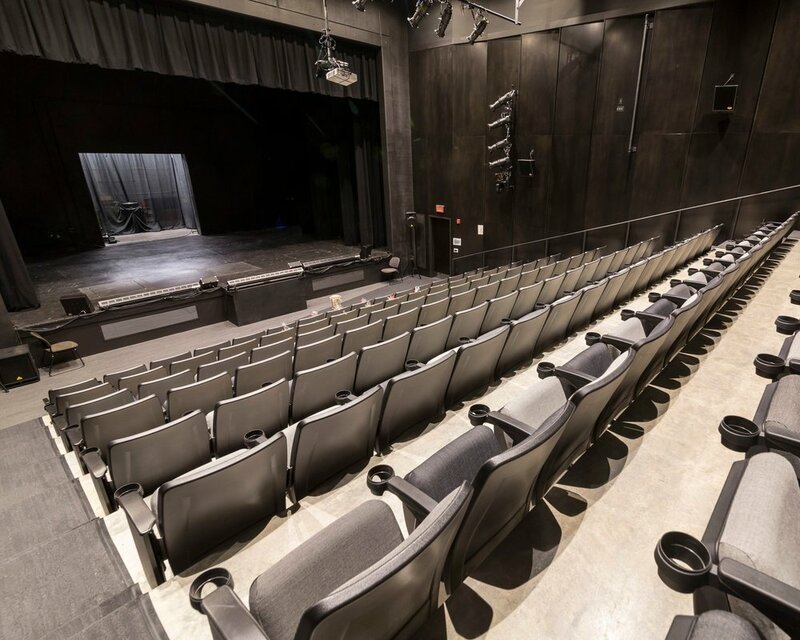 A conventional proscenium house with seating up to 153, this spacious theatre offers state-of-the-art lighting capabilities, professional acoustics, and cinematic theatre equipment. 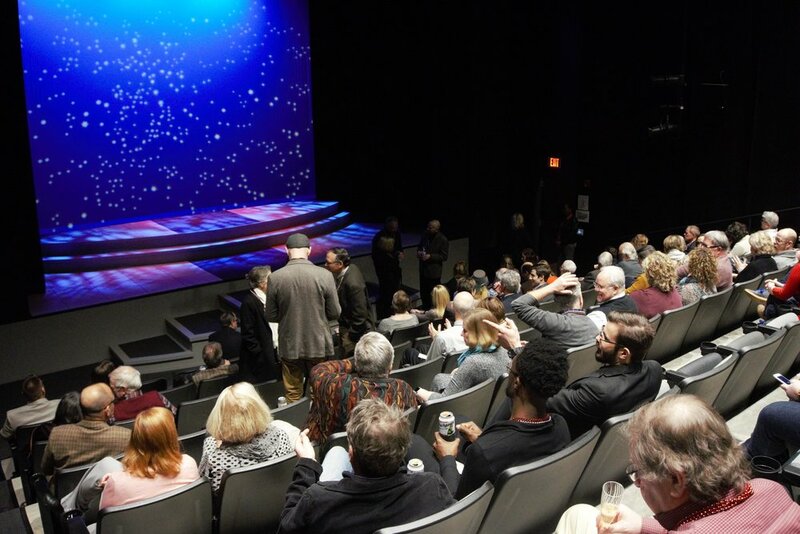 This space is perfect for stage productions, corporate meetings, presentations, event speakers, and much more. Please submit an inquiry form or call 317-635-2381 ext. 5 to speak with Events Manager, Iris Dillon.